This write up is intended to educate those with e28 based 6 series. 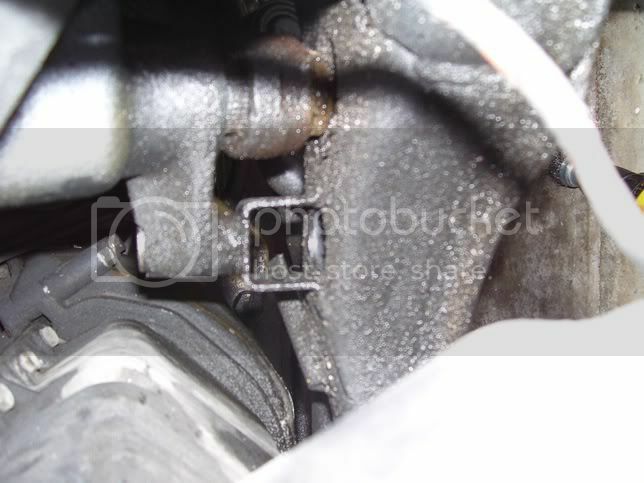 Most of you know that the steering box bracket is prone to failure. There are plenty of threads floating around discussing how/why it fails and what can be done to fix it. Pictures are worth a thousand words, so I?d like there to be a central place to discuss this problem. 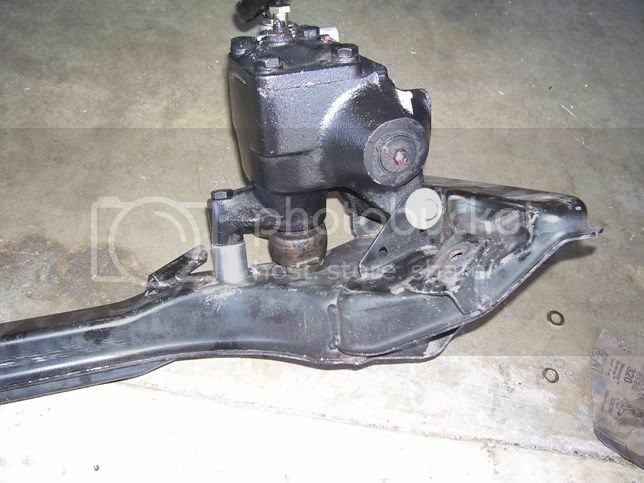 There are generally three states of the steering box bracket: intact, cracked, and completely snapped off. This procedure will allow you to re-enforce the bracket regardless of the condition of your existing bracket. There are also multiple ways of re-enforcing the bracket. The first and cheapest way is to use the ?bolt and spacer? method. 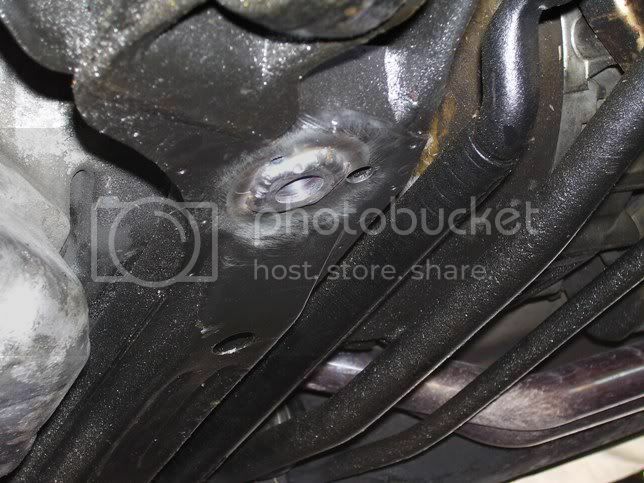 This involves using a long bolt that extends all the way through the subframe. 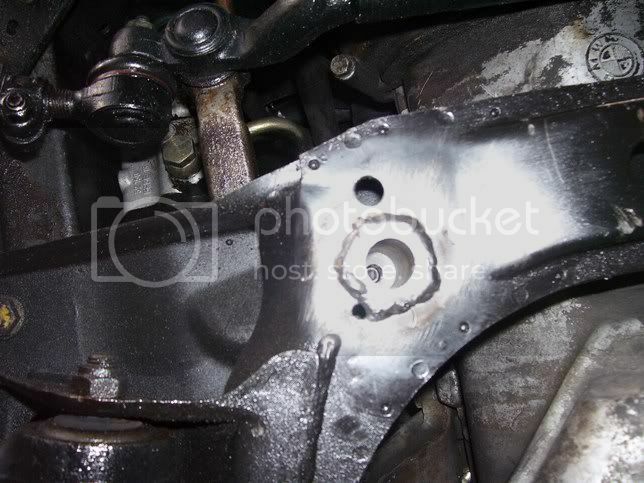 A spacer then sits between the top of subframe and bottom of the bracket. 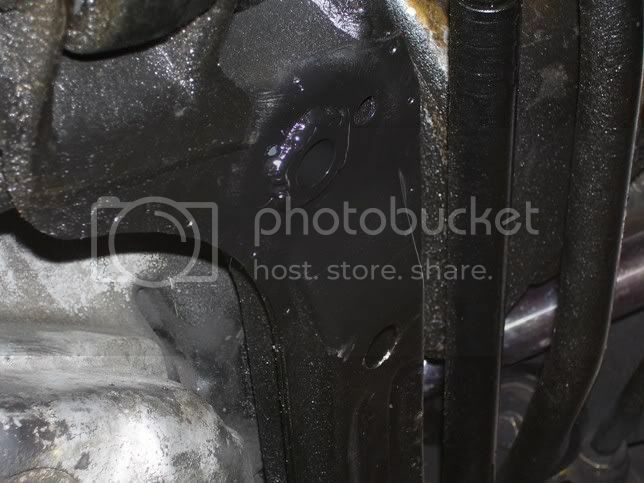 As the bolt is tightened down the head of the bolt is put into compression with the bracket and spacer. The compression force increases the lateral friction between these pieces. The frictional force is what prevents the bracket (and thus the gear box) from moving. I?m not a huge fan of this set-up because frictional force isn?t the greatest way to prevent movement of the box. Its an adequate solution if your bracket is completely intact. If your bracket falls into the later categories, DO NOT use this solution. This solution will prevent the gearbox from falling way out of alignment but it will still move during hard turning. 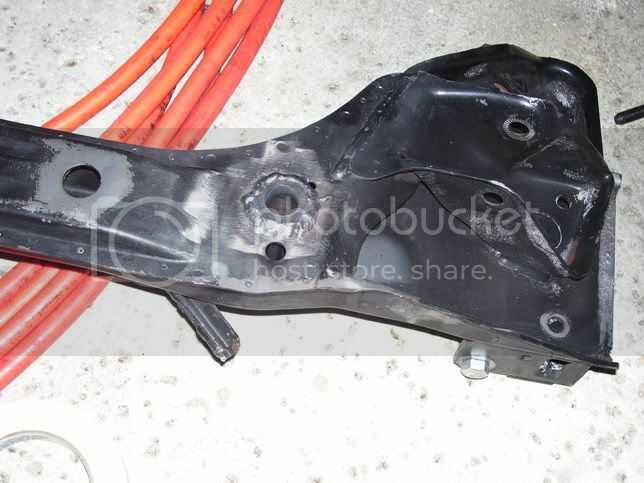 The third solution is to remove the subframe and ?box? the existing bracket. You can cut triangular pieces of steel and weld re-enforcements. 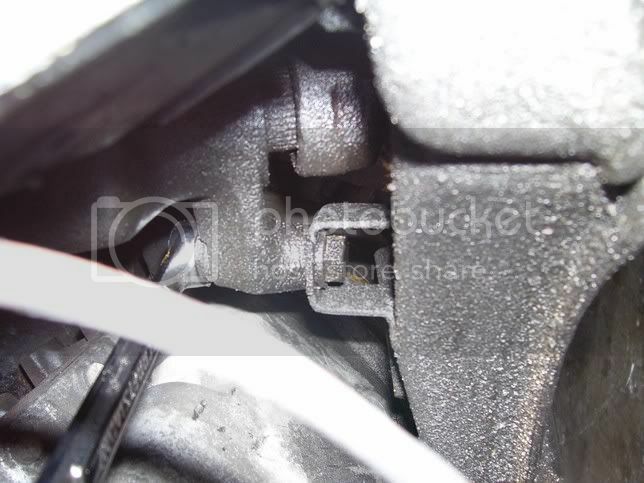 This requires the existing bracket to be completely intact as well as removing the subframe. 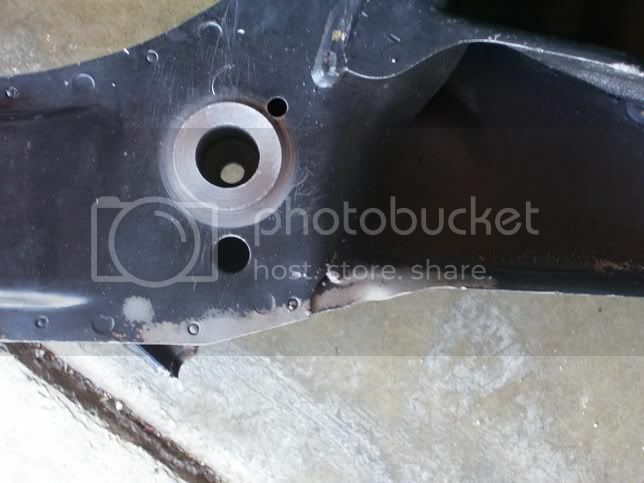 Personally, I don?t see the point in doing this because why remove the subframe if your bracket is still intact? Still, I?m just offering up another solution. Now, onto the write up. The first method of using the Mwrench dowel is to completely remove the subframe. I happen to have a spare M6 subframe and gearbox so I performed the fix on this subframe and I plan to swap it in at a later date. 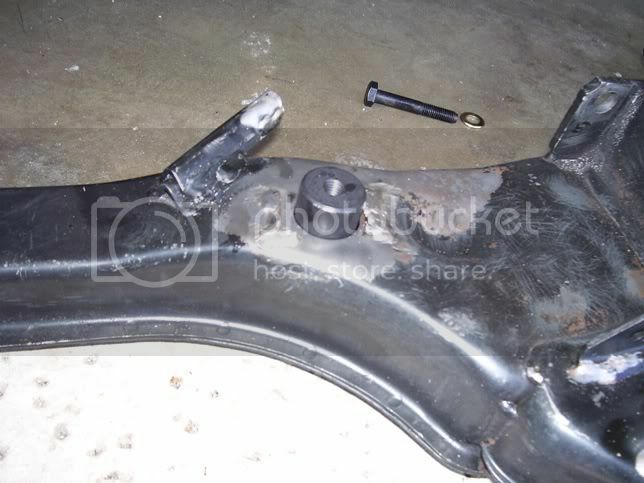 The bracket on this subframe was completely snapped off. A tiny portion of the side wall remained so I used an angle grinder to smooth it out. The advantage to removing the subframe with the Mwrench dowel is that you can weld both ends of the subframe to secure the dowel. Now, I have a couple of spare gear boxes lying around so I used one of them to mock up how it was supposed to fit. Go to the hardware store (Ace is the place) and get a 6? long 15/32? bolt and nut (7/16? will work as well). Most places wont carry the correct metric size bolt of that length. With the gear box lined up, you can see how the dowel fits. 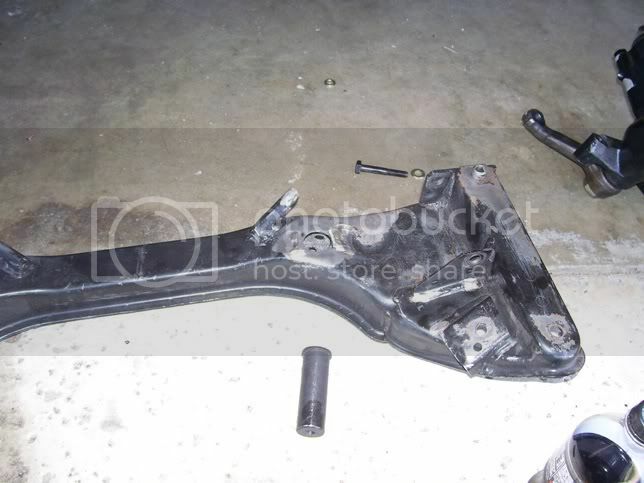 Your subframe is now ready to be re-installed in the car. 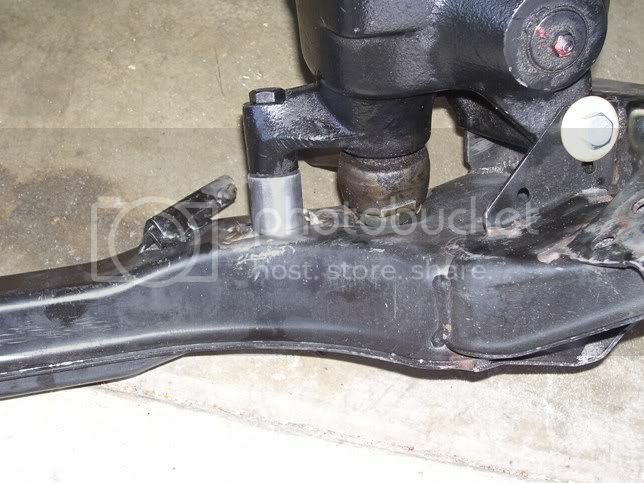 This method involves installing the Mwrench dowel without removing the subframe. This procedure can be accomplished in under 30 minutes if you know how to turn a wrench. The first step is to remove the existing bolt from the bracket. You need a 17mm wrench on the top and a 19mm socket on the bottom. You can use an extension and fit the socket through the subframe. An impact wrench works great to remove the bolt and nut. 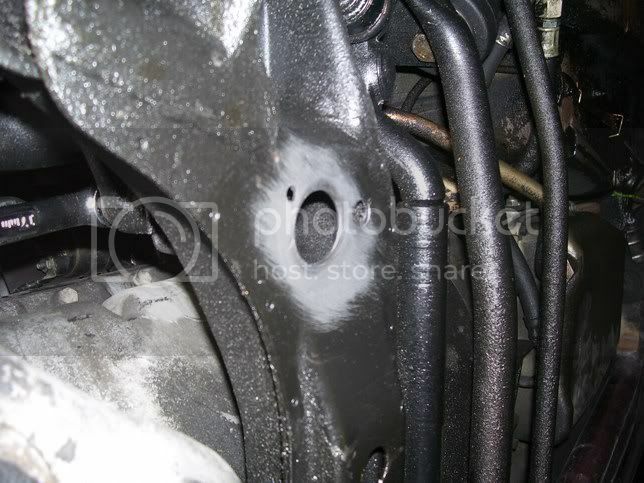 Retorque the bolt and then clean off the surface again and spray the bottom of the subframe with some rust inhibitor paint to prevent corrosion. 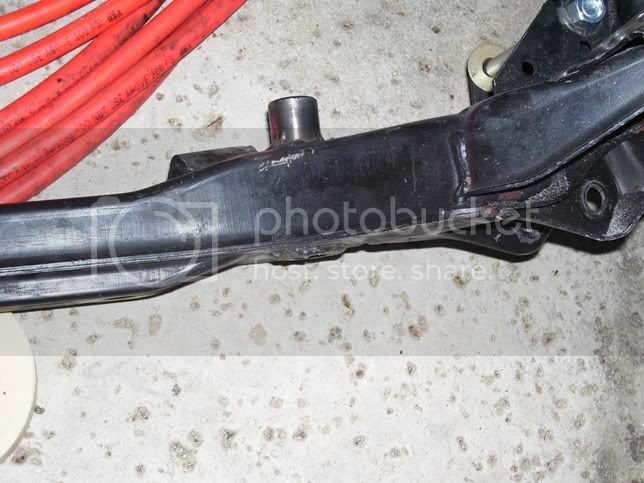 The first method of installing the dowel with the subframe removed will be installed in the future on my ?89 Turbo. The second method was performed on my ?87 635csi. The car was driveable again in under 30 minutes. I realize that most people either don?t know how to weld or don?t have their own welding equipment. 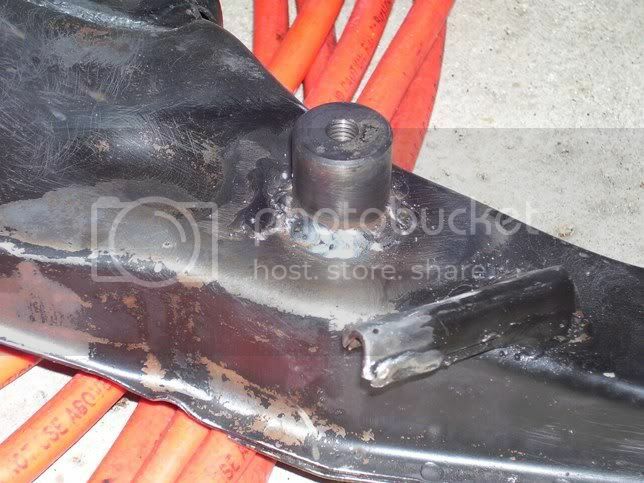 If welding is not something you can do on your own, I suggest install the dowel and torque?ing? it into place and then driving to an exhaust shop. Most exhaust shops will have welding equipment easily assessable and will do it for a small fee. 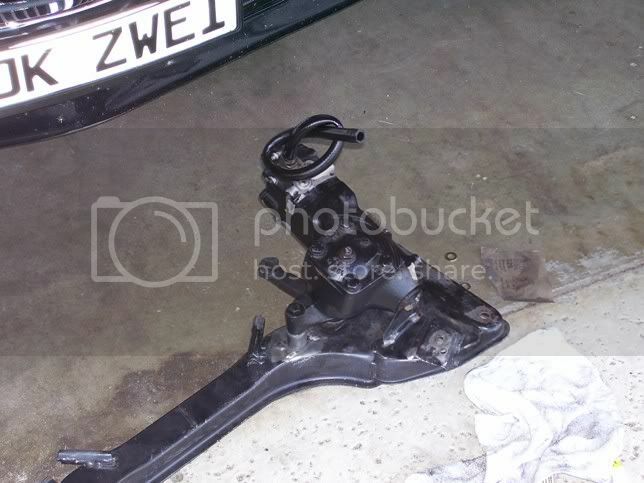 Of note: There are two different subframes used on the e28 based 6 series. The 633 and 635 up to 88 share a subframe and the M6/88-89 635 share a subframe. I honestly don?t know the difference between the two, other than the cars use different gear boxes. The M6/highline 635 use a short ratio gear box (and sometimes servotronic) while the earlier cars use the standard gear box. I sourced the later subframe for my turbo as I wasn?t sure what (if any) modifications would need to be done to install a regular subframe in the car. I also plan on adding additional support and re-enforcement to the subframe. That?s it! You?re done. Now go enjoy your car. After a week of driving my '87 635csi, I can say that the feel of the steering is much improved with the Mwrench fix. No shakes, shimmies or flexing in the steering. My personal opinion is that if you haven't installed already, you are living on borrowed time. Do yourself a favor and install one now! Kid... that's some good stuff! Keep up the good work! Nice work! Gonna do this soon. Thanks! I just installed my MWrench piece today. My bracket was not cracked, so I just bolted for now, but might go ahead and weld once I finish all the rest of the stuff I am working on. If installing it, I advise that you chase the bolt into the threads and make sure they go in smooth. Then, only tap the plug piece in about 3/4 of the way. It took me a good freaking hour to install mine, because I tapped the plug all the way up flush with my bracket. The little bit of offset on the steering box and not chasing the threads made it impossible to get the threads started. I had to use the bolt as a drift to push the plug back down far enough that I could get prybars in there and pop it back out. Once the threads were chased (and with the gap between plug and bracket) the threads caught immediately. I tapped the plug the rest of the way in and the friction fit to the subframe is perfect. I COMPLETELY recommend this upgrade. There are seemingly no negatives to be had. Where can I get the part from in the UK? Postage to the UK should only be an extra $5 or so. where can I purchase this Mwrench repair kit? jmitro wrote: very nice writeup. I believe Ed is currently traveling, but I know he brought some of the kits along with him ship out. my bracket was still intact. the inner width of the bracket was a little smaller than the dowel, so I had to grind my dowel quite a bit to get it to fit. I actually had to flatten two sides of the dowel, but once done, it fit snugly and I was able to push it in flush with the subframe and weld in place. This is a great write-up with easy-to-understand instruction on how to install it. I should get it in mine as well. Once the kit is installed and the box is stable, perhaps the thing that may be of interest is the box itself. I tried to search the archive but seemingly there was no write up or articles related to the box itself. I wonder how all of your boxes are, but mine has a small amount of play at steering center, which at some point want to get fixed. After doing some research, I was able to find one man through the E24 forum in Germany, a retired ZF employee who can rebuild a box for 700 Euros but a rebuilt box was not available (there was one online parts store that had it, but it was servotronic). Are you not experiencing any sort of issue with the box? "Aller guten Dinge sind Sechs"
SS, replacing the gear box is pretty straight forward. I did it on my '87 635si in a few hours. You remove the lines and drain the system (a little bit of compressed air can do the trick). You then need to unbolt the steering column. Anyway, yes, the gear boxes I've had do have a little bit of play in them but it isn't anything significant. I've currently got 3 extra gear boxes (regular, M6 and M6 servotronic) that I can send out for rebuilding when the time comes. I'm planning on going through the dealer for that as I'd rather do it once and do it right. The price is ridiculous but whatever. The box consists of a worm gear and several balls which I was told by the retired ZF employee that it has to be adjusted to one thousandth of a millimeter. Another component that is the cause of the box's leak is the shaft that becomes thinner over time. If you have 3 boxes, you have nothing to worry. I was just thinking of getting the quick ratio box which is available through someone I know. If you every decide to challenge rebuild, do let us know! Damnit! I actually through one out about a year ago because it was pretty well worn. I should have kept it to dissect. Anyway, I like the challenge. I'll rip one open sooner or later and see how feasible a DIY rebuild is. I just got the M-Wrench fix done, but the car is still in the shop waiting for some other work, so I haven't driven it. My mechanic liked the fix - said it works very well - much better than the stack of washers the PO had used (with the associated clunking, vibration and other steering issues). I hope to get a chance to drive it a few times before I park it for the winter. perfect timing my steering box mount has cracked! I recently pulled out my steering gearbox, thinking that I needed a new one. Bracket wasn't broken, and the box was fine, but the aluminum U joint on the steering column was completely seized up in one direction. Symptom was extremely uneven motion as you turned the wheel.... easy, stiff, easy , stiff... as I tried to turn. Anyway, when the u joint is seized there is a tremendous amount of side pressure on the gearbox, which is begging for the bracket to fail. 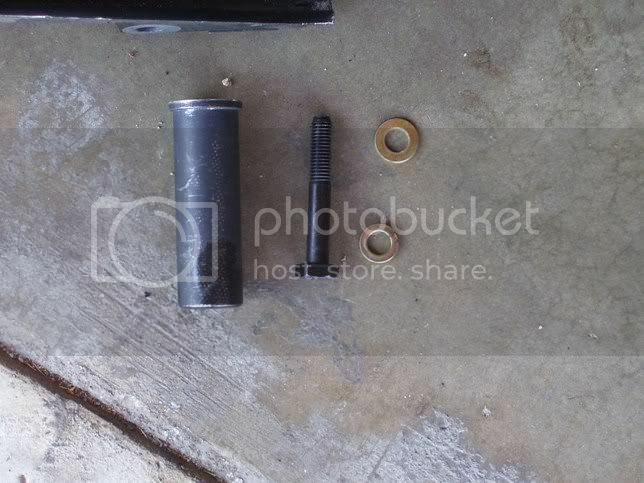 Does anybody know if Ed Raether still sells these dowels to reinforce the steering bracket? I emailed him last week, but did not receive an answer yet. But he hasn't answered my email yet. Ed was on holiday and understandably tries to shut things off when out. He answered my mail when he was back home two weeks later. Clear communication and fast shipping, Ed really seems to be a good guy!